Junk Busters helps local residents clear out junk in every way possible. If all you need is a place to put everything, we have that covered with our affordable dumpster rental services. Our containers are 12 cubic yards measuring 12′ x 7′ with 4 ft walls. That’s plenty of room for most cleanup jobs. Drop off and pickup are included in the quoted price. As a local family owned company, we can guarantee we will beat any competitor price on dumpster rental. Have a quote from a competitor? We will beat it by 10%! 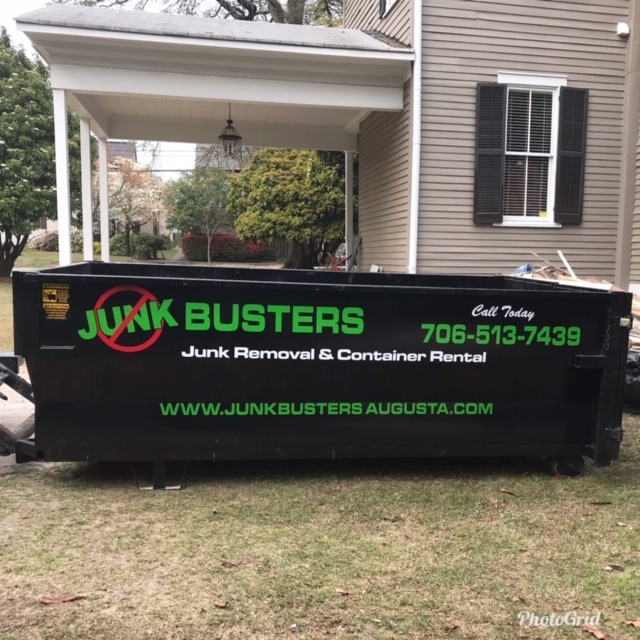 Call Junk Busters today to discuss your needs.